We offer soccer, baseball, tee ball, basketball, flag football and volleyball. Some sports are seasonal and others are available year round. Registration for all sports for kids 3-12 is only $50. For kids 13-14, registration is $60. There are no other hidden fees or costs. Where and when are games held? In general, all games are held Saturday mornings from 8am-noon. This may vary depending on the season and the facilities available to us. Game locations also vary per season, but most games during our bigger seasons will take place at Gateway Polytechnic Academy on Signal Butte and Ray. When are where are practices? Most teams practice once a week at a location chosen by your coach and team. 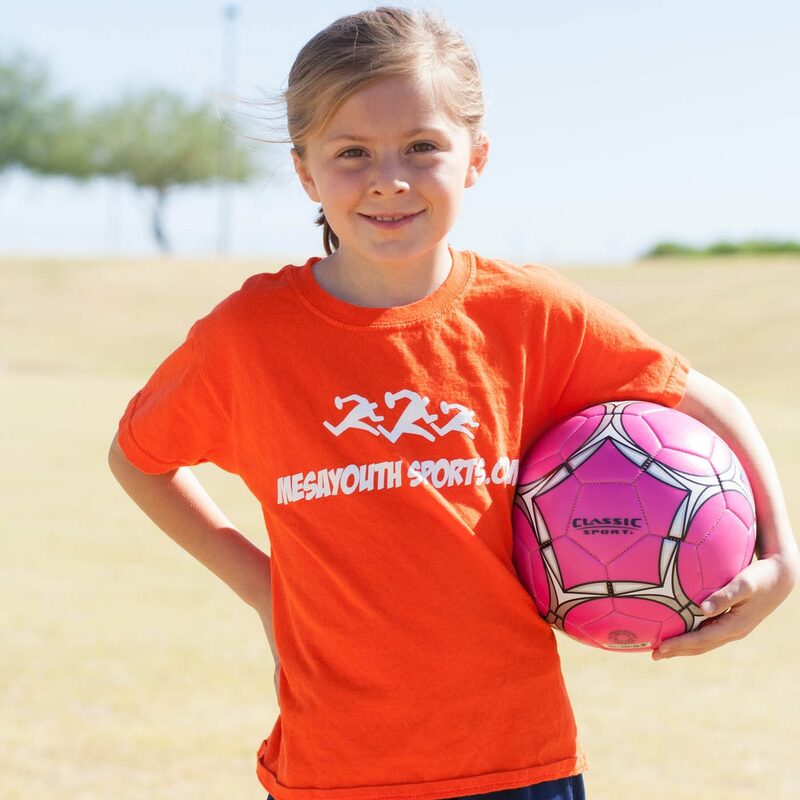 Mesa Youth Sports does not provide practice facilities. It is the responsibility of the team to find a practice location and time. Practices are more commonly held between the hours of 3 and 7pm during the week.